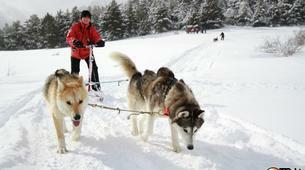 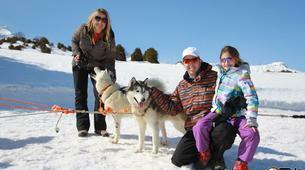 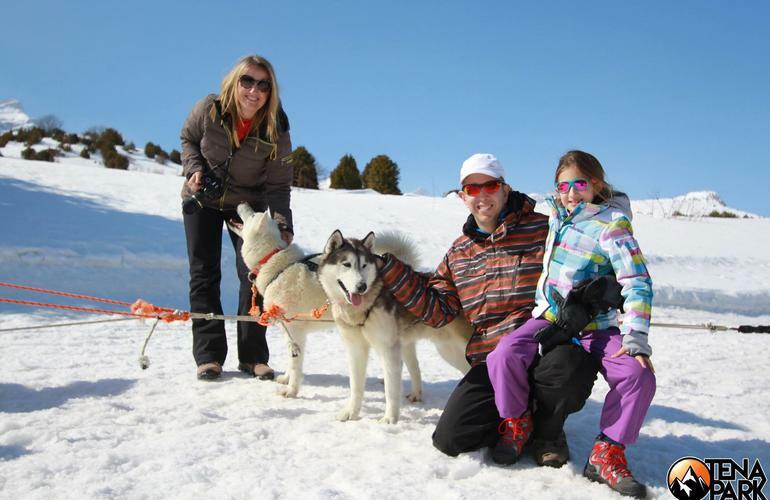 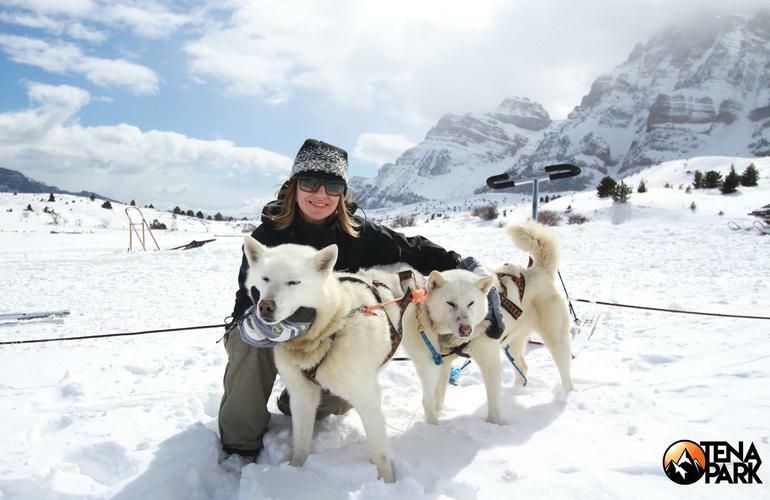 If you want to feel like an Eskimo for a day then you must try mushing! 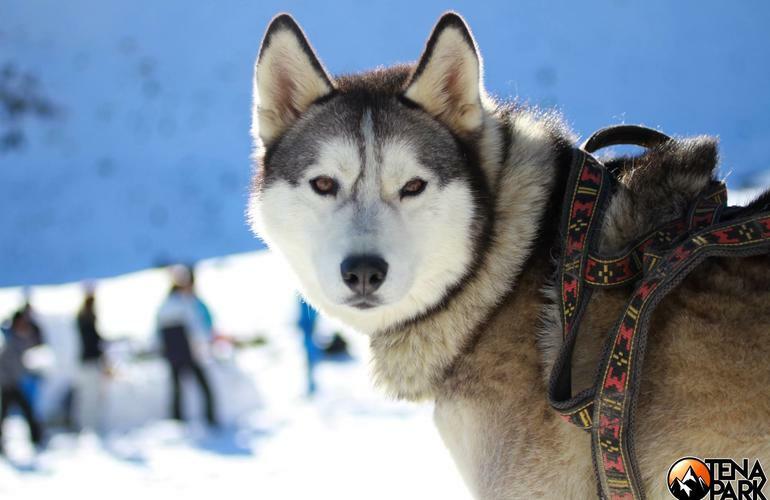 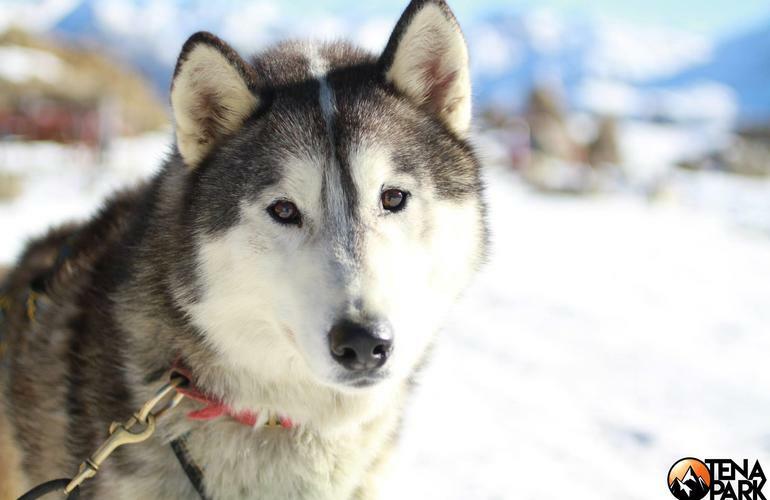 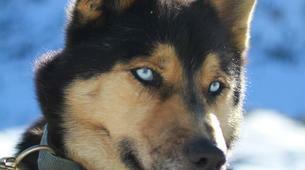 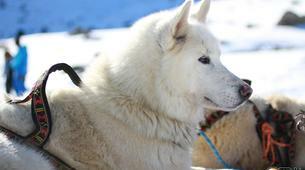 Discover the amazing feeling of being pulled by charming, yet powerful, husky dogs! 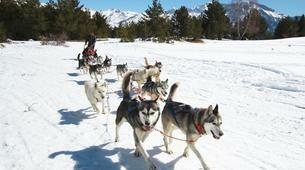 Now is your chance of taking control of a sled pulled by sled dogs in La Partacua in the Tena Valley. 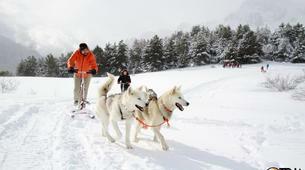 This unconventional way of enjoying the snow will give you an absolutely unforgettable experience. 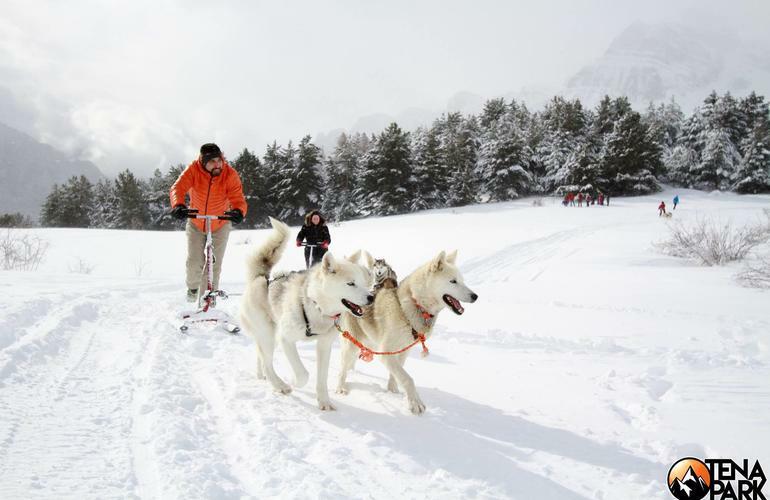 You'll have the chance of feeling the pull of the dogs while listening to sled gliding over the white snow along with your instructors. 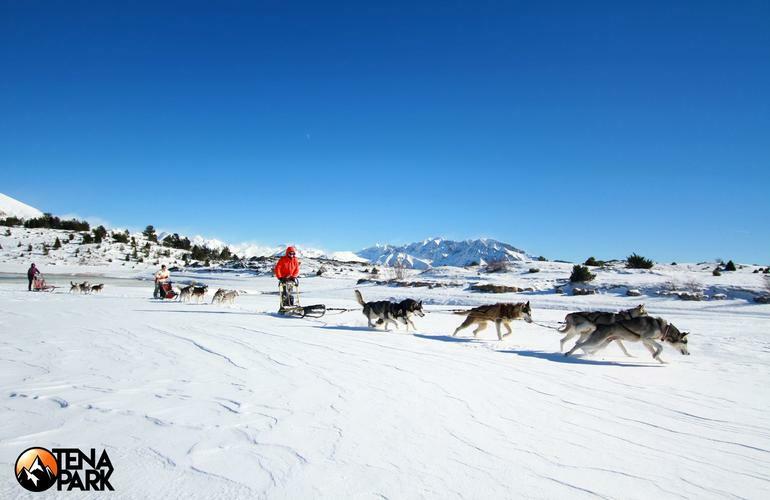 You will pass through forest, snowy paths and frozen lakes! 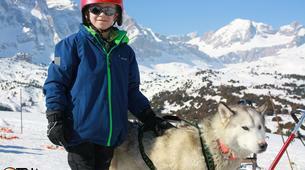 This activity is particularly attractive for young children, but also appeals to any adventure seeker! 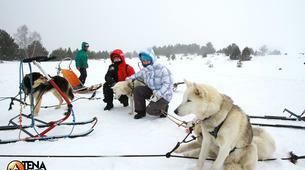 Tena Park offers you two different way to experience mushing. 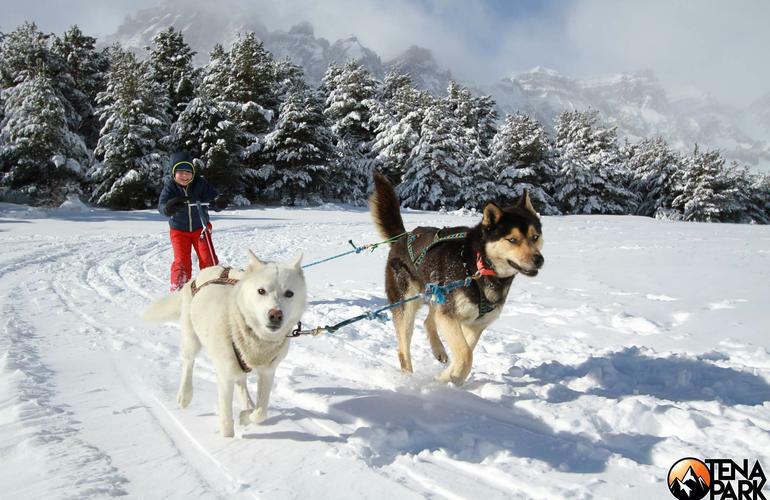 An active mushing in which you will take control of the sled and your instructor will help you so everything goes perfectly! 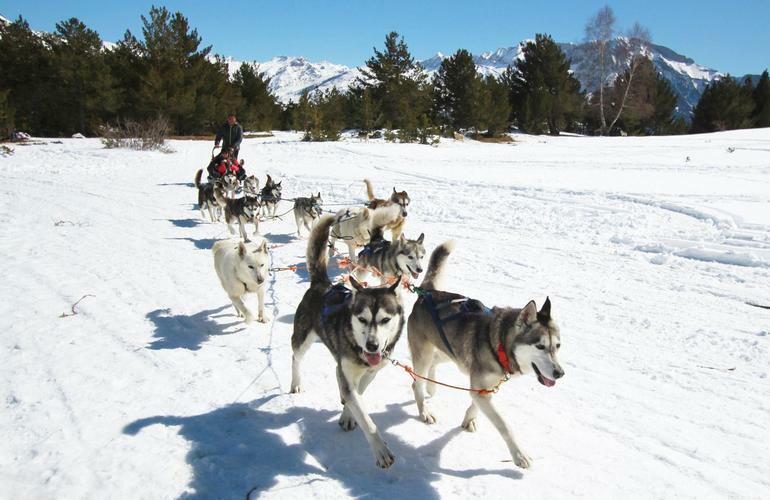 If you want to relax and just contemplate the beauty of the Tena Valley, then a passive mushing experience in which you will be a passenger taken by a professional musher is for you! 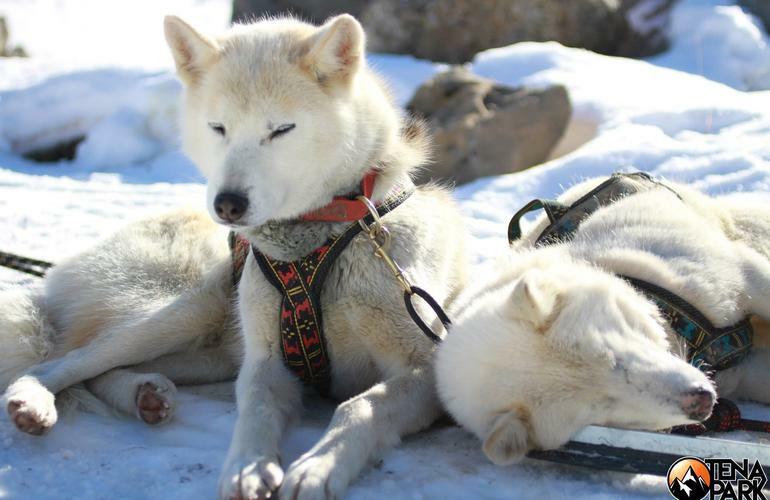 Do you want to take the front seat? 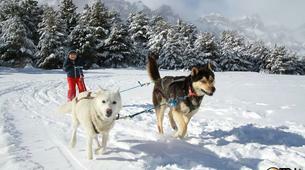 With this option you will drive a sled leading 3 to 4 dogs for one hour! 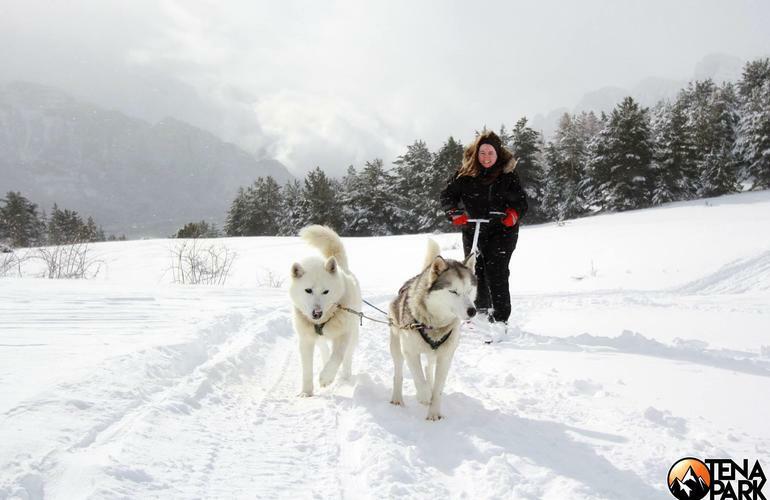 You will meet your instructors in Tramacastilla and onboard a 4×4 you'll reach the spot where the activity will take place. 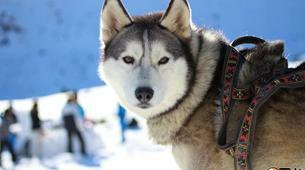 There, the huskies will welcome you. 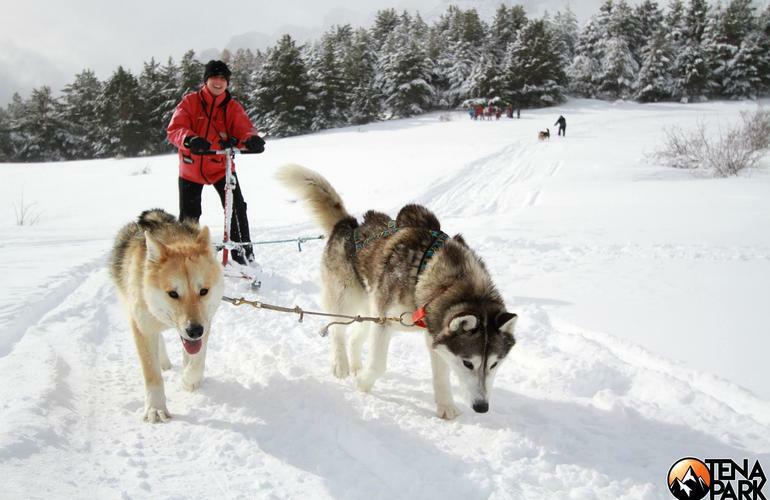 Before starting, you will be briefed in how to control the sled, safety measures and the vocal orders you will use. 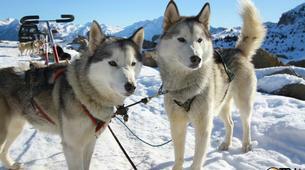 Once finished, you will return and give the dogs a treat! 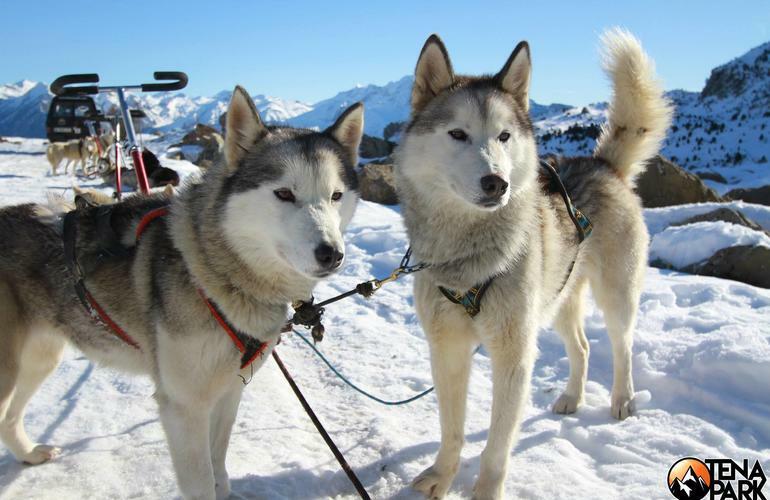 They earned it! 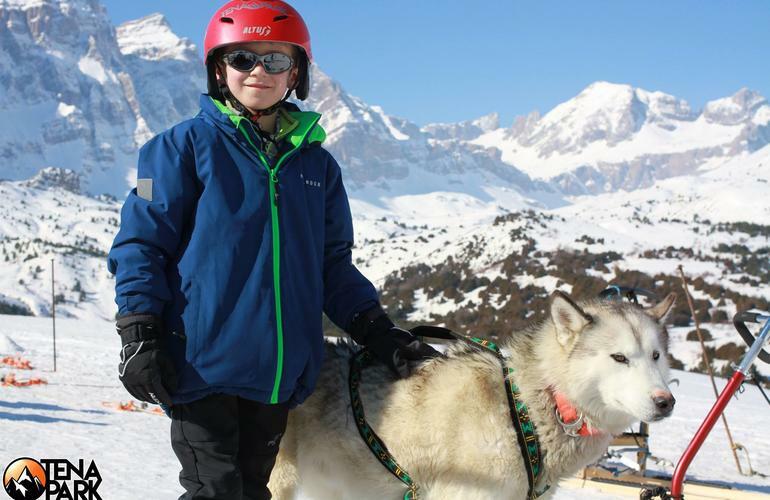 Please get in touch with you instructor to arrange specific meeting times. 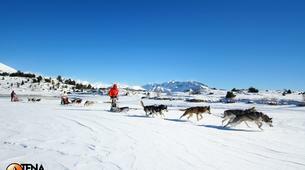 One person per sled. 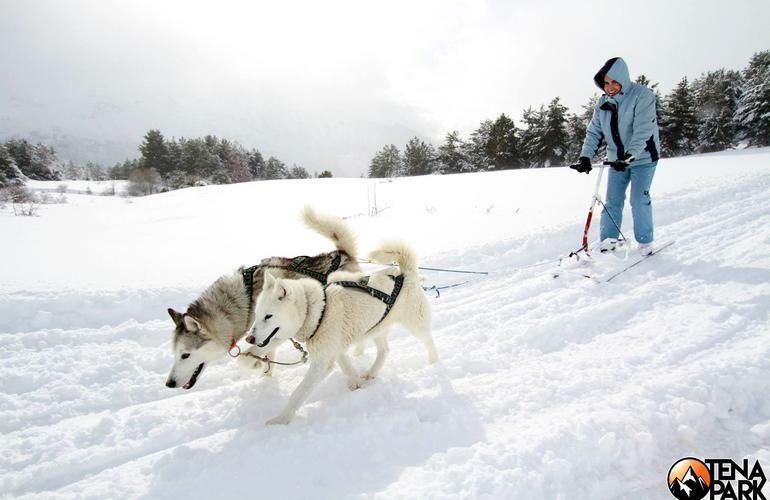 Maximum 3 sleds at the same time. 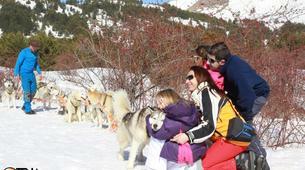 Activity not suitable if pregnant. 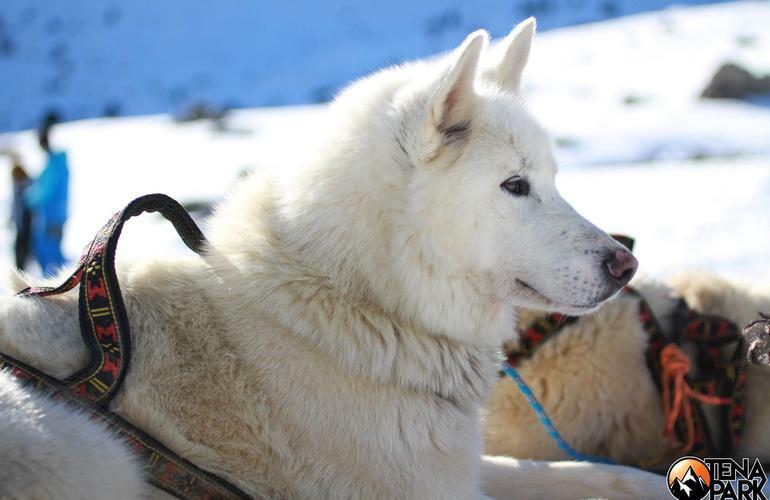 Do you want to take the front seat? 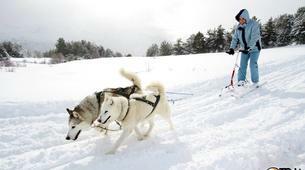 With this option you will drive a sled leading 3 to 4 dogs for two hours! 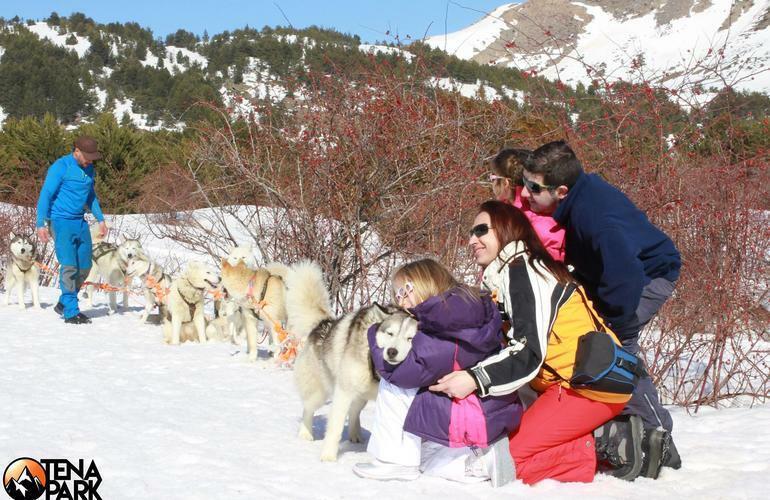 This option is ideal for families! 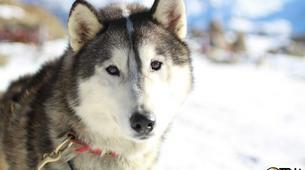 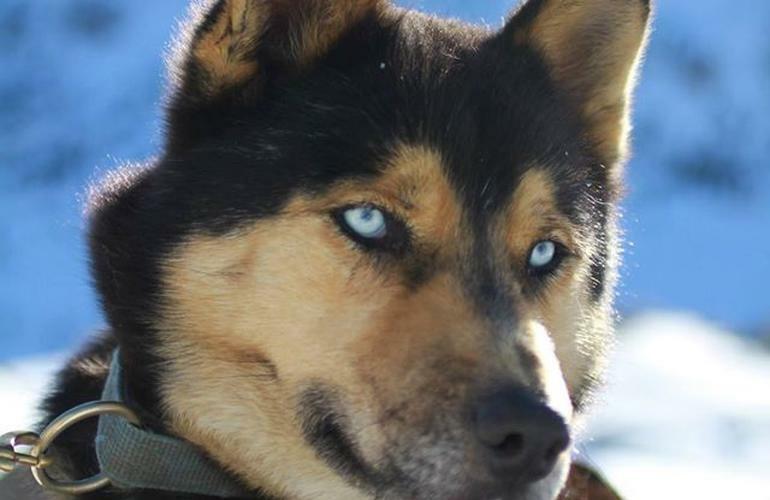 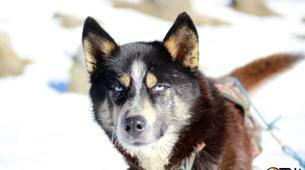 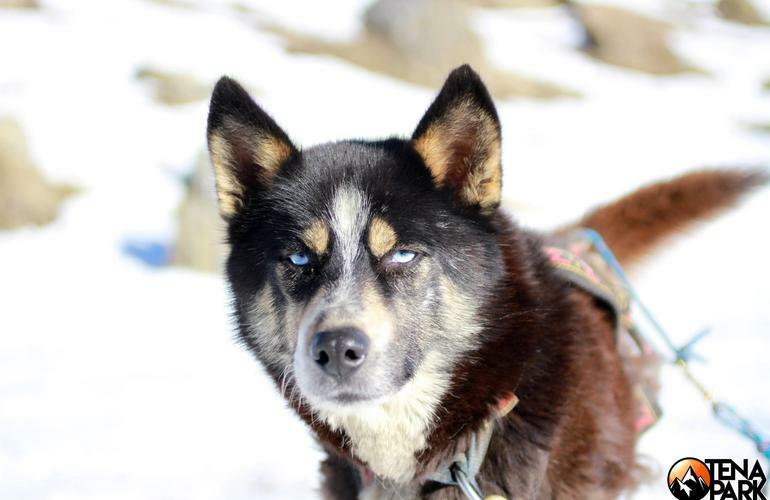 You can sit back and relax while an expert musher takes you on a one-hour tour. 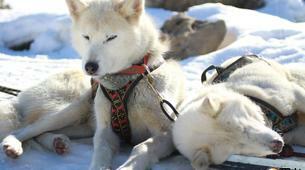 Before starting, you will be briefed about the safety measures.